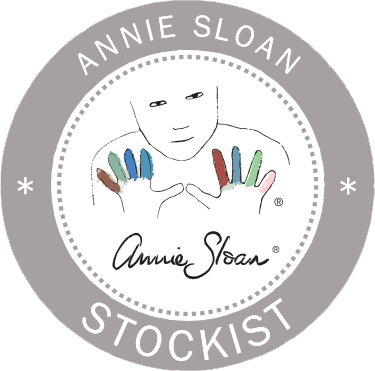 My Little Vintage is Northamptonshire’s first stockist of Chalk Paint, a decorative paint from Annie Sloan. Don’t be fooled into thinking it’s only for furniture, Chalk Paint sticks to just about any surface … wood, concrete, metal, matt plastic, earthenware and much more, both inside and outside the home. As the paint requires no sanding or priming beforehand, gorgeous results have never been so simple and straightforward. As well as Chalk Paint, we carry the full range of Annie Sloan wall paint, waxes, brushes, fabrics and complementary products. If you’d love to give your old furniture a new lease of life and require an expert to help out, then look no further. We don’t just do painting, but can help with simple refurbishment, repairs and re-upholstery. Why not contact us to discuss your next project and together we’ll create a ‘second-chance’ treasure. Please come and see us soon. "I visited My Little Vintage in Olney, for the first time today. Wanted to say a big thank you to the friendly and helpful ladies who gave great advice and helped me in choosing some Annie Sloan paint and wax." "What a fabulous shop! The lovely lady that served me was clearly very knowledgable about Annie Sloan paint and passionate about what she did. She advised me well and offered tips to make my first project go smoothly." Fab course on Annie Sloan. Come and find out more about our Annie Sloan range. Once you've completed your first project, there will be no stopping you. It's addictive!